In this Tibetan Singing Bowl buyers guide I’m going to share with you everything you need to know about singing bowls. 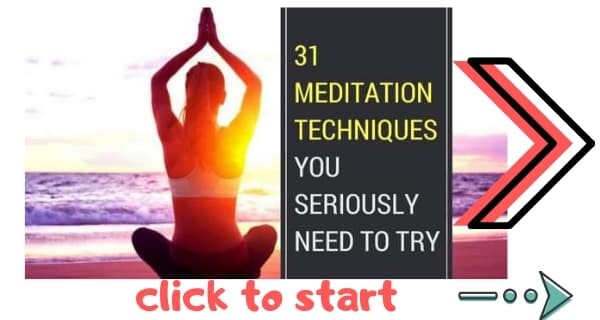 Take a look at our list of the best meditation music and you will see lots of music with singing bowls. No wonder. Because singing bowls are incredibly relaxing. And they are excellent for healing the mind and body. In fact, these beautiful instruments are one of the very best gifts for Buddhists. In this Tibetan Singing Bowl Buyers Guide we will look at everything you need to know about singing bowls. What is a Tibetan Singing Bowl? And you might like to read my guide to buying a meditation gong too. Tibetan Singing Bowls (sometimes called whistling bowls or prayer bowls) are instruments used in meditation. 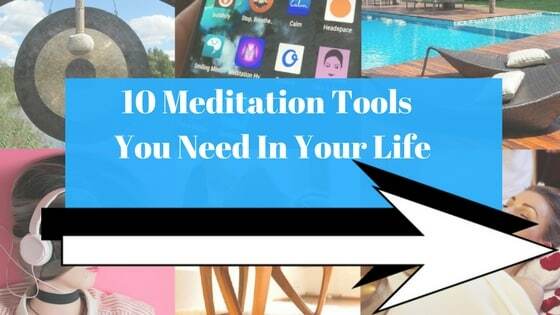 They are almost definitely one of the best meditation tools ever. They are actually a type of standing bell in the shape of a bowl. But instead of being inverted they are held in the hand. They produce sounds you can meditate on to open chakras (using specific chakra bowls) and heal your mind and body. Tibetan Singing Bowls are actually one of the best meditation tools. No Buddhist temple would be complete without one of these. But why are they so important? And what is a singing bowl used for? Truth is, there are tons of reasons to buy a singing bowl for use in you meditation practice. Not only do they sound amazing and look beautiful, they actually heal your body, mind and spirit. Meditating on a singing bowl is one of the most powerful types of spiritual healing. When you meditate on a singing bowl your brain changes structurally and your mind heals emotionally and spiritually. That’s why Buddhists have been meditating on the sound of Tibetan singing bowls for 3000 years. 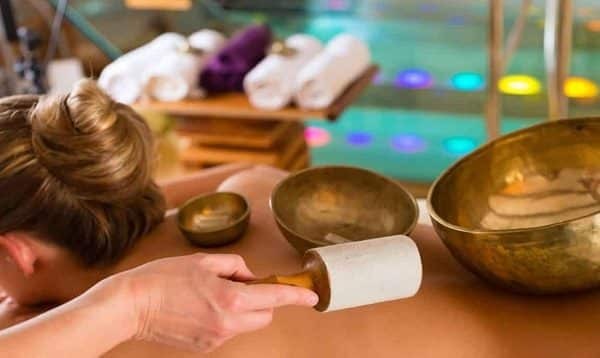 Today you can even have healing massages done at health spas where they put the bowl on your skin and the vibrations from the bowl heal the body—seriously, these bowls are a complete mind-body healing system. I’ve personally been using Tibetan Singing Bowls for around ten years now. I find they make a great addition to my meditation practice, and they look beautiful as a decorative-piece. (I’ve shared a guide to buying a Tibetan Singing Bowl below if you want to get one for your home). Plus, if you love Buddhism, these are arguably the best type of Buddhist instruments, musically or otherwise. Let me show you the Tibetan Singing Bowls for sale online that I recommend. I’ve divided these up by price point so you can easily choose the best one for you. These do vary in quality significantly. You get what you pay for (the crystal singing bowl for sale below, for instance, is expensive but brilliant). For an economical bowl I recommend you choose the Ohm Store Tibetan Meditation Yoga Singing Bowl Set. The frequency of this singing bowl is 552 HZ, D-flat. And it’s been tested with the water technique and does indeed make water ripple and jump. Made of brass and without seams, this bell produces a good tonal quality. And at the price range it is highly affordable and makes for a nice gift. Of course this is just one bell so it does not activate all chakras (for that, I recommend you choose the chakra singing bowl below). For an economical complete set of Chakra singing bowls, choose TheMelMart’s 7 Piece set. These singing bowls are 4 inches, 4.5 inches, 5 inches, 5.5 inches, 6 inches, and 7.5 inches. The set comes with a 7-ring cushion and 7-pieces wooden mallet, plus 1 or 2 drumsticks. The set is handmade in Nepal and comes whosale from Singing-Bowl House, an authentic Tibetan singing bowl manufacturer. Both the look and sound of these bowls is authentic. And they produce a fantastic audio range to open the chakras. If you want the best of the best, choose a full set of chakra crystal singing bowls. TopFund’s quartz crystal singing bowls are the best. They look and sound beautiful. And they are the perfect Tibetan singing bowls for opening chakras. These bowls are made from 99.9% pure quartz and create a deep, resonant sound. One of the best things about these chakra singing bowls is that you can choose your size. The retailer has options for 8-10 inches up to 8-20 inches. It comes with a rubber base to sit the bowl on, and a rubber mallet. For me, this is the best singing bowl set for healing and chakra activation. If you read our beginners guide to chakra meditation you will know how important it is to activate your chakras. One way to open chakras is with chakra singing bowls. Chakra singing bowl sets have existed for thousands of years, ever since around 2500BC. Today they’re everywhere, from your local Buddhist temple to your yoga studio—and maybe even at home if you have bought one using our singing bowl buying guide. You’ve probably listened to a chakra singing bowl during yoga when you meditate in Savasana. Or when you’re doing a group meditation session at your temple or meditation studio. They’re even heard at health spas, hospitals, churches and in therapy sessions. Did you know that just by meditating on the sound of a chakra singing bowl set you can activate and balance all seven chakras? The chakras are wheels through which energy (prana) flows. The word itself literally means “wheel”. It’s a concept that has been around for 2600 years and was first found in the classical spiritual text the Upanishads. The chakras exist along the spine from the pelvis up to the crown of the head, and they’re vital to our wellbeing. 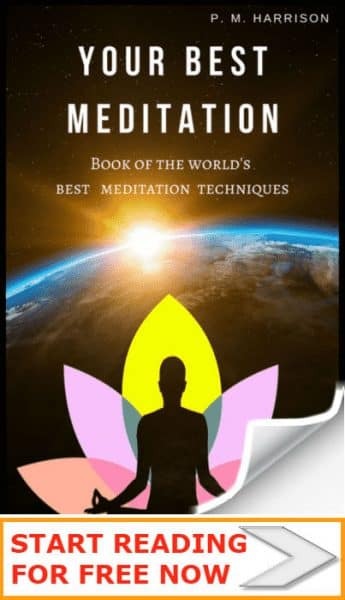 That’s why so many of THE DAILY MEDITAITON’s readers have been using our Chakra Meditation Tutorial (link is above). When one chakra is out of balance it can cause big issues for our physical and mental health. I found this out for myself in 2010, when a problem with my root chakra caused an extreme stress reaction and led me through personal hell (thankfully I was able to recover naturally using spiritual practices, including using chakra singing bowls for healing). When your chakras are out of balance you’ll experience all manner of problems—the specific problem you encounter will depend on the chakra that is out of balance. Thankfully, we can use a chakra singing bowl set to open the chakras and balance them. We can balance the seven chakras by meditating. But perhaps a better and more enjoyable way to balance the seven chakras is with a chakra singing bowl set. 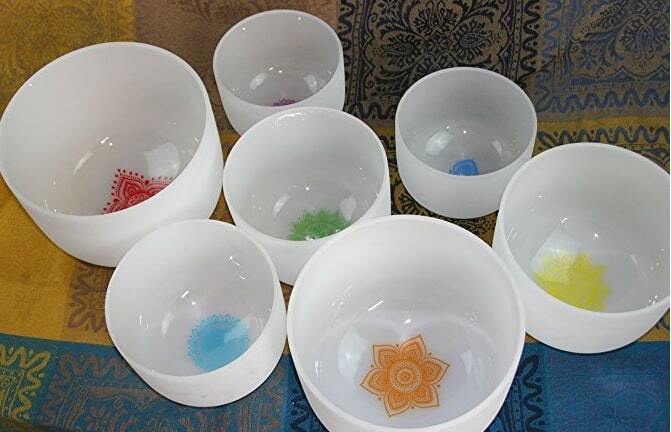 Chakra singing bowl sets contain a bowl for each chakra. This is important because each chakra responds to a different frequency of sound. 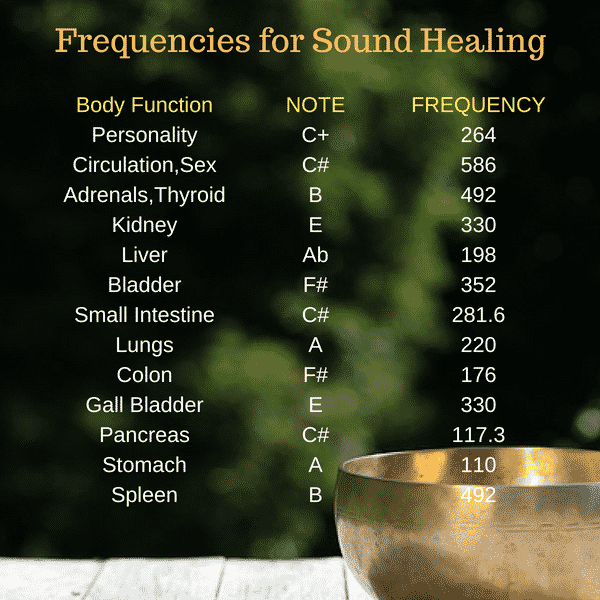 Hence why each bowl in the chakra singing bowl set produces different frequencies. By producing the specific frequency for each chakra, singing bowl sets balance the seven chakras, healing the mind and body. Crystal chakra singing bowl sets are usually the best. These differ from traditional Buddhist singing bowls, which tend to be made of metal. The argument is that because the human body is made predominantly of water, it is predisposed to respond to crystal more than metal (the human body has comparatively little metal). The best crystal singing bowls will be made of 99% pure quartz and are finely tuned to the frequencies of the seven chakras. One of the best chakra singing bowl set you’ll find is Crystal Energy Bowls’ Chakra Tuned Set Of 7 Frosted Quartz Singing Bowls, pictured below. Why A Crystal Chakra Singing Bowl? Today, many people argue that a chakra singing bowl should be made of crystal, and that the traditional metal ones are not as effective. So, who wins in a metal singing bowl VS crystal singing bowl contest? The argument is that the sounds of traditional metal singing bowls do not penetrate the body to the same extent as crystal singing bowls because the human body is made mostly of water, not metal, so we naturally respond to the sound of crystal bowls because our bodies are crystalline. Quartz is also known to be a highly conductive transmitter. After all, it’s the same stuff that is used in a lot of computers and other tech, specifically because it transmits electricity so well. And of course, electricity is pivotal to the functioning of we human beings. So, it does seem logical that a quartz crystal singing bowl would have more of an effect on a human. Plus, you can definitely hear the difference between crystal bowls and the sound of Buddhist bowls. It is curious that for thousands of years Buddhists and yogis have used singing bowls made of metal, not crystal. Then again, even the spiritual field is not immune to evolution. So is this simply the future of singing bowls? That they be made of crystal? Either way, a crystal chakra singing bowl makes for a beautiful and powerful addition to your spiritual healing tool-kit. And they are one of the best ways to balance the seven chakras. Above we looked at the best Tibetan singing bowls to buy online. Now let’s look at how you can tell the the best singing bowls from the worst. Obviously you will want to check that your singing bowl set produces the right bowl sounds for healing. But there’s more to it than that. When it comes to choosing singing bowls, follow the tips below. Be aware that there are a lot of Tibetan Singing Bowls that look old but are actually new. They’re fake-antiques. Worse, they do not have the right musical tones, history or energy for a singing bowl. If you want to know how to buy singing bowls in the antique range, I highly recommend researching how to tell antiques from fakes. Otherwise you will end up wasting your hard earned money. YoWangDu has written an excellent guide that explain important facts about how singing bowls are made. Read the article here. It answers a lot of questions. While there are lots of authentic Tibetan singing bowls for sale, there are lots of fake antiques too. If a Tibetan singing bowl is being marketed as antique it should be at least a hundred years old. Some vintage singing bowls in private collections are thousands of years old. Genuine antique singing bowls will have markings inside and out. Genuine antique singing bowls will be thinner on the bottom, may have a certificate saying it has been certified as genuine, and will cost from $100 (for a very small bowl) to many thousands of dollars for a large one. Old bowls are made of different materials, too. The new ones are typically made of a type of bronze called “bell metal”, which is made of copper and tin. Antique singing bowls are made of high-quality bronze and various other metals, such as gold, silver, meteoric iron (sky-metal) and thogcha. 3. What are you going to use your new singing bowl for? When it comes to choosing singing bowls that actually help you, you need to know what youre buying it for. What type of meditation will you be doing? Zen? Mindfulness? These are important considerations to make before choosing a singing bowl. For instance, for chakra healing you will need a specific chakra singing bowl set, or the correct singing bowl for the chakra you are healing because different chakras require different frequencies. Singing bowl mallets come in different sizes and weights. Some are suede. Some wood. Some felt-covered. The weight, size and material of the mallet will affect the sound the bowl makes. That’s one reason why you should always try and play the piece before you choose a singing bowl. Don’t choose singing bowls based on image alone. Make sure you have a good idea what it will sound like, ideally by playing it. A good singing bowl will make a rich, resonant sound that lasts for a long time when it is struck. You should be able to hear the overtones it’s producing. If the bowl doesn’t hold its sound it is a badly made bowl. Even economical bowls should hold their sound. Does the bowl sound tinny? That’s another sign of a bad bowl. Don’t buy it. To find an authentic antique Tibetan singing bowl, I recommend visiting a specialist antique store specialising in world culture or spiritual items. For all other times, it’s easier (and reliable) to use an online store. Singing bowls activate chakras. They are tuned to very specific frequencies that will activate the different chakras. This is one thing that makes them different to crystal bowls and tuning forks. Some singing bowls are better at activating certain chakras than others. For instance, to activate your root chakra, singing bowls need low tones. To active the heart chakra, singing bowls should be in the mid-tones. And to active the third eye chakra, singing bowls should be high-tone. That’s one reason why some people like to buy singing bowls sets that have one bowl for each chakra. Because to activate all chakras, singing bowls need to be able to produce a wide range of frequencies. When it comes to choosing chakra singing bowls, buy either a set of bowls or one very high quality bowl that produces all the required frequencies. I’m constantly stunned by how much I get out of meditating on a singing bowl. Whether it’s a pure gold chakra singing bowl set that activates your chakras, or a simpler bowl used for relaxation, you will get get so much out of them. There are so many healing properties of singing bells. Just by meditating on these for twenty minutes a day you’ll get oh so much out of it. There are lots of different ways that you can play a Tibetan Singing Bowl. If you are just learning how to use singing bowls, try these techniques. Hold the bowl in your left hand. Hold the mallet in your right hand at around mid-length. Your fingertips should point down and should be touching the wood. Tap the mallet on the bowl’s side to warm the bell. Try not to go too fast but rather allow the volume to build gradually. Meditate on the sound for twenty minutes. Another great way to use a singing bowl is with the Wah Wah technique. Pull the mallet away from the bowl while it is still singing. Hold the bowl up to your top lip one inch away from your mouth. Now imagine that you’re saying “Wah. Wah. Wah.” Make the mouth shape of this sound while your mouth is an inch from the bowl. This will change the sound of the bowl. You can produce a special effect by putting a little water on the bottom of the bowl. This makes the bowl sound like dolphins. Put three quarters of an inch of water into the bowl but do not get the rim wet. Now tilt the bowl, causing the water inside to lap towards the rim. Now swirl the bowl. This will create the sound of dolphins. To use the bells properly you need to know how to meditate on a singing bowl. There are different ways to meditate on the sound the bells produce. This is my favorite technique. This is my favorite way to meditate on a singing bowl. This is the type of sound you can produce once you know how to use Tibetan singing bowls. If you’ve been looking for meditation music, Tibetan Singing Bowl recordings should come first. You can listen to lots of great singing bowl music in our collection of free meditation music. As you will know if you’ve used a singing bowl before, the rim of the bowl vibrates to produce a whistling sound. That sound is made up of two frequencies: a first harmonic and overtones. The frequencies of Tibetan Singing Bowls are at ranges that are very beneficial to the brain. There are also undertones that the bowls makes. Together, these sounds produce a chord that is a “flattened fifth”. Naga Shakthi says, “Singing bowls produce layers of rich additional overtones, which, when heard binaurally, create beat frequency which alters our brain waves from a Beta brainwave state to an Alpha state”. When you meditate on the sound of a singing bowl you switch your brain to alpha frequency. And alpha frequency is very beneficial (for more on this take a look at my guide to Alpha-brain-wave method ). Scientific research shows that the flattened-fifth chord the bowl makes is very good for meditation. The flattened fifth chord that the bowls produce is perfect for spiritual healing and for when you need to balance your chakras. As you listen to the frequency of the bowls your brain waves actually synchronise with the sound of the bowl, and at the same time the unique tones produce a deep meditative state. Not only this, but the sonic waves of the singing bowls open your mind, which can lead to spiritual awakening. I looked for scientific research to prove that Tibetan Singing Bowls have an effect on the brain, but sadly I came up short. It appears there is very little scientific research about singing bowls. The best I could find was a fascinating article by Quartz, which looks at at the physics and experience of Tibetan Singing Bowls and whether they actually work (4). Clearly, there are lots of reasons to listen to Tibetan Singing Bowl music while meditating. One scientist determined to uncover the secrets of the bowls is Dr. Mitchell Gaynor, [director of Medical Oncology and Integrative Medicine, Cornell Cancer Prevention Center New York]. Dr. Gaynor tells us, “Sound is vibration. Vibration touches every part of our physical being. Sound is heard not only through our ears but through every cell in our bodies. It turns out, Tibetan Singing Bowls actually relate to mantras–specifically the mantra “Om”. Sound Healing expert Diane Mandle says, “Tibetan singing bowls are ‘struck and sung’ in specific rhythmic patterns to create vibrational sound harmonics at the frequency of “AUM” or “OM”. “This sound frequency is the sound of Perfection. It impacts the sympathetic nervous system as your brain waves synchronize to the vibrations of the bowls. “The harmonic vibrations engage the relaxation reflex and slow down the respiratory, brain and heart rate and disrupt the pain reflex creating a deep sense of well-being,” says Mandle. This perhaps explains how singing bowls have helped to heal disorders, including cancer. imon has subsequently tested Tibetan Singing Bowls on his patients and states that sound has a powerful capacity for healing even in cancer patients. Tibetan sound meditations all take advantage of the effects that different sound frequencies have on the body. Illnesses can be thought of as a disharmony of the body, an imbalance. All energy is in a state of vibration, including energy in the body. When that vibration is tampered with the body falls out of sync, resulting in illness. Meditating on the sound of a Tibetan Singing Bowl restores the body to its natural frequency. And this in turn cures illnesses, both physical and psychological. You can quite quickly test this for yourself. Below is a video demonstrating Tibetan Singing Bowls being played. Listen to the sounds and you will quickly feel your body and mind relaxing, unwinding, and restoring to their natural state. Some consider the sound of singing bowls to be divine. Bodhisattva Gwalwa Karmapa says Tibetan Singing Bowls produce the sound of nothingness, the primordial sound, resonating at the same frequency as “Om,” the frequency of creation. This is why early models of Tibetan Singing Bowls have been in use by Shamanistic cultures since as early at 560BC. Many readers have asked me if the healing properties of Tibetan Singing Bowls is similar to that of binaural beats. Though some studies into binaural beats have given positive results, the latest Brainwave Entertainment lacks the history and culture of the Tibetan Singing Bowl. There is an ethereal quality to the singing bowl that binaural beats lack. Tibetan Singing Bowls hold a powerful spiritual symbolism and that symbolism can help you to get deeper into the meditation, which creates a more powerful and lasting effect than any audio recording ever will. Listening to Tibetan Singing Bowl music while meditating is much better than listening to binaural beats. Because of their spiritual-aspect, Tibetan Singing Bowls also activate certain beliefs. Countless studies have shown the power of belief and the power of spiritual influence on the mind. The more the mind believes in the spiritual properties of an object the more effect that object will have on them. By mere virtue of their history and spiritual symbolism, Tibetan Singing Bowls are more powerful than binaural beats and other modern practices. And that is not likely to change. Plus, Tibetan Singing Bowls are a natural, analogous sound, where more modern sound healing devices are digital. So for my money, you’re never going to see a digital recording that is as good as an actual real-life Tibetan Singing Bowl that you are playing for yourself. Still, there are similarities between the bowls and binaural beats. For starters, both produce theta brainwaves. At 4-8Hz our self-healing, intuition, and creativity mechanisms are activated. It’s at this range that you are at your strongest, and that is precisely the range Brainwave Entertainment and Tibetan Singing Bowls put you in. It is also at this frequency that the chakras can be healed. These Buddhist instruments truly are amazing. When you meditate with a singing bowl you heal your body, mind and spirit. When you buy a singing bowl, you’re buying a piece of spiritual history. If you ever visit a Buddhist temple you will likely see some antique singing bowls among the relics. I recently visited our local Buddhist temple and was delighted to see on a shelf the most beautiful Tibetan singing bowls set (along with wooden fish, Buddhist cymbals, bells and Dorje). Attached to the cabinet was a little leaflet introducing singing bowls and explaining what they are and how they are used. Traditionally, Buddhist Tibetan Singing Bowls were used in Asia by monks. The monks would use Buddhist singing bowls as an auditory marker to start and stop a period of meditation. Monks would combine Tibetan Singing Bowls with a percussion instrument called the “wooden fish,” which is struck when a specific phrase is chanted. And this would be done as part of a ritual before and after meditating. In Japanese and Vietnamese tradition singing bowls are used a little differently. There, they are used to mark the beginning and ending of periods of walking meditation and seated meditation. It took thousands of years, but Tibetan Singing Bowls gradually became popular in the West, and today they are used in health spas and yoga studios as a way to relax the mind. Some antique singing bowls are up to 5000 years old, meaning they predate almost all other tools used in meditation. Many people believe that Tibetan Singing Bowls are Buddhist in origin, but they actually predate Buddhism. It wasn’t until about 2500 years ago that Buddhists began to play Tibetan Singing Bowls. The monks found the sound the bowls made to be very relaxing. It is a healing sound. And that is why Buddhist monks have meditated on the sounds ever since. (2). Many people believe that Tibetan Singing Bowls are made of seven metals that are astrologically related to stars and planets: Gold (sun) Silver (Moon), Copper (Venus), Iron (Mars), Tin (Jupiter), Mercury/Quicksilver (Mercury) and Lead (Saturn) (1). But actually, Tibetan Singing Bowls are usually made from a bronze alloy of copper and tin. There are also expensive crystal singing bowls made of quarts, and even pure gold singing bells. For thousands of years, Buddhist bowls (Tibetan singing bowls) have been used for healing. Did you know that just by meditating on a Buddhist bowls sound you can heal your mind and body? Research even suggests that the Buddhist bowls’ sound may even cure cancer. Obviously you might want to take that with a grain of salt, but some scientists seem certain that Buddhist bowl sounds do have an effect on cancer and other serious illnesses. And it all happens because of the audio frequencies that come from Buddhist bowl sounds. Could Buddhist Bowl Sound Healing Really Work? Some people are skeptical that the sound of Buddhist bowls could really heal them. After all, this is the age of billion-dollar pharmaceutical companies… right? !… right?! Thing is: Monks have been using Buddhist bowls for sound healing for approximately 5000 years, so there must be something in it. One scientist who has extensively researched the effects of the sounds of Buddhist bowls is Dr. Mitchell Gaynor, [director of Medical Oncology and Integrative Medicine, Cornell Cancer Prevention Center New York]. Buddhist bowls are far from the only type of sound healing. In fact, people have been using sound healing for millenia. The old instrument used for healing? That would be your own voice. That’s right, the human voice is the oldest of any healing mechanism. And long before people were popping pills, they were using mantra (sacred sounds) to cure all manner of illness. Just take a look at these mantra for healing illnesses. The sounds of Buddhist bowls are intrinsically connected to spiritual mantras. In fact, it turns out that Buddhist bowls specifically relate to the mantra “Om”. This perhaps explains how Buddhist singing bowls have helped to heal disorders, including cancer. Simon has subsequently tested Tibetan Singing Bowls on his patients and states that sound has a powerful capacity for healing even in cancer patients. This and other spiritual healing practices are continually being tested (and verified) by science. Just take a look at these spiritual healing techniques. Amazing! What is the best Buddhist bowl for sound healing? There are lots of different types of Buddhist bowls for sound healing. You can read about all of them in our singing bowl buying guide. Different bowls will produce different sound frequencies. And different sound frequencies affect different body functions. That’s why it is essential to listen to the right bowl for the right circumstance. Another important factor of Buddhist singing bowl sounds is their Solfeggio frequencies. Solfeggio frequencies are the original musical scale that was used to compose old spiritual music. Have you heard the Gregorian chants? Those were composed according to the Solfeggio frequencies, as were many other older Christian chants and similar spiritual music. The Solfeggio frequencies are important because they produce specific sound frequencies used for healing. That’s why when you listen to those old chants you get a deep sense of inner peace right through to your core—you know the feeling, right? You can read more about this on Attuned Vibrations. Many Buddhist singing bowls are created specifically to produce these Solfeggio frequencies. And they therefore activate the seven chakras, which is important for healing. Could these Buddhist bowl sounds heal us better than medicine? Singing bowls have existed for more than 5000 years, and monks have been meditating on the sound of Buddhist bowls for millennia. And they’re still powerful today. Could these Buddhist bowls sounds heal us better than medicine? We glad to introduced our self as a Manufacturer & Exporter of handicraft item in brass, aluminum, wrought iron, wooden & ceramic along with wooden stand ,Leather goods, embroidery bags & ladies purses in different and other handicraft items bulk quantities. But our company specialties in Metal Singing Bowls & Bronze Bell ,Gong Tings ha Cymbals And Brass Buddha Pictures different style & different color already exporting same items in from very long time bulk quantity best quality and very competitive price in US$,F.O.B, Mumbai. We would like very much to do business with you & believe this could be of mutual benefit to both of us. We are waiting for your positive response as soon as possible. uhm. Buddhism hasn’t been around 3000 years. Maybe Taoism? Thanks for your comment. Buddhism is 2500-3000 years old with no known exact date of inception.